Protect One Of Your Most Important Assets. is to hire a professional home inspector from Power Home Inspection. 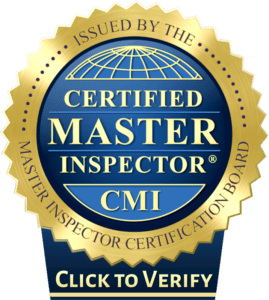 The certified home inspector will provide a visual inspection by looking at the home’s various systems, including interior and exterior components. The inspector will check exterior components including roofing, flashing, chimneys, gutters, downspouts, wall surfaces, the foundation and the grading around it. Power Home Inspection’s certified inspectors are located in Etobicoke, Ontario and serve Toronto & the Greater Toronto Area including Vaughan & Brampton. There are many inspectors to choose from in the GTA, you might be wondering what sets Power Home Inspection apart from the others. To put it simply? We are always working and putting you the customer FIRST. Other home inspectors look out for the best interest of the realtor. We can say proudly that the customer always comes first, any and all deficiencies or issues are always documented and explained in detail so that there is complete trust in your Home Inspector. No inspection Condition in your offer? No problem! We offer “Pre-Bid” home inspection at a lower price than our regular home inspection to give you peace of mind about your home by doing a walkthrough. This inspection is shorter and less thorough on small defects and focuses on larger issues so that you know what type of home you are buying. Typically done without a report to streamline the inspection process, this lets us be able to complete the inspection during a showing so that you have some piece of mind in your purchase. A house isn't just a house - it's a home. Our main objective is to make sure that your home is a safe place to live. Don't wait to get your future home inspected. Even though a house might be a new build, you should still get it inspected. Deficiencies can still be present so you should make sure you're covered under warranty. A condo inspection is just as important as a home inspection. A missed problem could wind up costing you thousands of dollars. Don't wait -find out more.